The editorial equates white working-class and low-middle-class grievances with historical civil rights movements—an oversimplified position fraught with problematic assumptions—to consequently hail the Trump administration as unconventional newcomers who could make a difference for the better. The editorial apparently presents a very selective demographic profile of Trump supporters. There was no specific mention that it was white voters in general—across income brackets, gender, age, and education—and wealthy citizens that overwhelmingly supported Trump. In addition, the editorial said nothing about the fact that far right and white supremacy groups also cast their lot with Trump, as the endorsement by David Duke, the former leader of the Ku Klux Klan, makes clear. Trump’s political movement was infused with xenophobia, racism, and misogyny. The National Herald underwrites a populism centered on economically vulnerable whites as victims to justify its positive response to Trump’s election. Priebus was the chairman of the Republican National Committee, and the editorial praised him for having “the intelligence, good judgment and fortune to support Trump.” It expressed delight at the prospect of Priebus providing access to the new power and in turn advancing Greek and Greek Orthodox issues with the new administration: “Hence, there is a window of possible communication between the community and the new government at the higher levels” (2). The editorial’s narrow portrayal—in fact, its misrepresentation—of the political movement that led Trump to power, as well as its near celebratory tone, should already come as troubling, but the enormity of The National Herald’s political position comes by contrasting the paper’s earlier stance regarding the presidential campaign. On October 29, ten days before election day, The National Herald cast its unequivocal support for Trump’s political adversary, Hillary Clinton, despite its editor’s profound skepticism about the trustworthiness and credibility of either candidate, and lamentation over the shallowness of the presidential debates. In a front page editorial, the newspaper explained its decision to take sides on “the lesser of two evils” as a matter of political responsibility based on the weighing of each candidate’s prospects for advancing U.S. and Greek interests. [W]e are frightened to imagine Donald Trump as commander-in-chief. He is so unpredictable, so impulsive, and so much a lone wolf in reaching decisions, that we believe he presents an unacceptable risk to the country. The newspaper’s post-election astounding reversal illuminates the ways in which a Greek American media negotiates a new configuration of power. And its answer is shocking. Instead of confronting the power it previously categorically denounced, it wholeheartedly embraces it. The post-election editorial does not even temper its acceptance—an acceptance in the name of realpolitik for negotiating with the powers in Washington—with serious caveats warranted by the very toxicity of the reigning political climate. It opts instead for its unconditional consent, making a spectacular show of a law-abiding ethnic media. Its political calculation wholly aligns with power. Sectors of Donald Trump’s movement have undoubtedly engendered and unleashed racism, misogyny, and bigotry, as the newspaper initially acknowledges. But its later endorsement astonishingly and conveniently forgives and forgets. It fails to showcase Trump supporters’ ongoing violation of people’s inalienable rights and erases its earlier critique with a rhetoric of a yet-to-come better future. This raises the larger question of the historical role of “mainstream” Greek American media in surrendering its critical voice to the reigning establishment. The National Herald’s rhetoric requires further reflection because it construes Trump’s political movement as uniform, solely working class, to open the moral ground and endorse it as a promise for America. This when supporters of this movement in reality systematically subject non-white males and women across race to daily intimidation, harassment, and even physical abuse. The editorial “New America” makes the impossible attempt to hide what it had previously recognized and castigated. The newspaper’s double speak is gravely dangerous. If Trump “built his candidacy on xenophobia—on hostility toward immigrants, minorities, and women,” this ideology that now infuses every day and institutional practices is not to automatically vanish into thin air upon his election. Is it really all about advancing Greek American interests at the expense of others? On November 19, in a commentary by its editor entitled “Reince Priebus Prestige,” The National Herald celebrated the selection of Priebus as White House chief of staff. It spun it as a political development through which “our community has taken a giant leap forward.” In the context, the term “community,” appears to mean a community that is reaching the echelon of power, thus enhancing its position to promote certain Greek American, Greek diaspora, and Greek Orthodox interests in Washington (4). But what is the “Greek American community”? It is heterogeneous, as we know, and diversifying. It consists of LBGTQ individuals who sometimes also identify as Greek Orthodox. Though Greek Americans are generally seen as “white,” the community includes dark-skinned individuals whose facial features may not present as white and may also be victims of racial profiling. It includes interracial couples whose children are often subject to bullying at school. It is peopled with Greek Orthodox members who nurture close friendships with members of the Muslim community and members of many other racial, religious, and ethnic groups, as well as women who encounter sexism in all aspects of their lives. Greek Americans are also citizens and activists with a vision of an inclusive America. All these members of “our community” increasingly find themselves in a political reality that emboldens aggressions against their respective identities. They consider the new development as a giant leap backward. The challenge clearly is for a new community politics that moves beyond mere ethnoreligious interests and takes into account the wellbeing of all who comprise it. This was written the same week that large sections of the American media (and beyond) expressed outrage over Priebus’s defense of the selection of Steve Bannon, a widely known white nationalist, as chief strategist and senior counselor in the Trump administration. The connections between white nationalism and racism have been amply identified (6), as well as their linkages with neo-nazism. Yet this is what Priebus had to say about Bannon, as on record via Fox News: “The Steve Bannon I know is a guy who is really on the same page with a lot of the things… almost everything I agree with as far as advising president-elect Trump. He was a force for good on the campaign.” Salon took a sharper, incredulous take, mocking Priebus as “confusing Steve Bannon with Mother Teresa” (7). In short, The National Herald normalizes the Trump phenomenon. In the name of creating access to political power it has adopted a populist stance by lavishing the movement as pro-working class. And it humanizes the administration by presenting profiles of its members as prone to success and embracing Greek Orthodoxy. It is the responsibility of scholars to identify additional ways through which not only this newspaper, but also sectors of Greek America and beyond, normalize Trump’s movement, and to spell out the implications of this normalization. It is necessary to understand how the Greek American media and public negotiate national, ethnic, and diaspora politics in the age of a Donald Trump presidency. When Archibishop Iakovos marched along Dr. Martin Luther King, Jr., in support of the Civil Rights movement in Selma, Alabama, in 1965—an example of courageous civic leadership in which Greek America often takes pride—his public statement was “far more progressive than the majority of his flock.” Clergy and staff advised the archbishop against marching, fearing that it would compromise “the quest of marginalized Greeks for full acceptance as American” (8). Were the archbishop’s actions an anomaly? With Greek America deeply ingrained in the American fabric, where does it stand on civil rights now? We anticipate further discussion regarding these issues, but more urgently, the example of The National Herald’s stance on the Trump phenomenon calls for twofold collective action. First, we must reclaim a Greek/American voice that stands in opposition to white ethno-nationalism and its neo-Nazi expressions, both at the popular and the institutional level. And second, we must imagine a politics that moves beyond mere ethnoreligious interests along a greater civic vision of the public good. Ongoing work on Greek American identity takes into account issues that confront people beyond Greek identity (9). To put it simply, and in a particular context, one cannot lay claim to a Christian Greek Orthodox identity—an identity based on the ethic of universal empathy and love—and at the same time support, directly or indirectly, policies and narratives that harm non-Christian people. A new Greek/American narrative is necessary to place Greek Americans and the diaspora in solidarity with demographics that most imminently face the dangers lurking in the new political order. The immediate task is an activism that safeguards basic human rights and promotes an ethos of civic inclusivity. To reiterate: The mere advocacy for identity politics—to safeguard the interest of a single ethnoreligious identity without a larger civic vision and reflection on the implications of this advocacy for vulnerable Others—is gravely inadequate, in fact counter-productive, to engage with the ominous realities that are not only pernicious but also emblematic of a frightening reorientation of what we consider civilized discourse in this country. I’ll end with a Greek song I find as resonant as ever in this particular historical juncture: Dionysios Savvopoulos’ «Οι Παλιοί μας Φίλοι» (Our Old Pals). «Κι έρχεται η στιγμή για να αποφασίσεις με ποιους θα πας και ποιους θα αφήσεις». Given the relatively narrow range of media outlets in Greek America, it’s essential that Greek/American writers, poets, scholars, intellectuals, and journalists who advocate civil rights, inclusivity, gender equality, and a better distribution of wealth join forces to produce reflective, critical discourse, and multifaceted identity narratives outside “Greek America” proper. In doing so we will have to speak inconvenient truths to power. Speaking out is not an option, but a necessity, no matter the risk. So much is at stake. Even our right to produce and publish writings like this one. 1. “The New America.” The National Herald Vol. 20 (996), 12–18 November 2016 (online edition) http://www.thenationalherald.com/wp-content/uploads/2016/11/996.pdf [available by subscription only]. P. 12. 3. “For the Community and Country: Hillary for President.” The National Herald Vol. 20 (994), 29 October–4 November 2016 (online edition) http://www.thenationalherald.com/wp-content/uploads/2016/10/994.pdf [available by subscription only]. Pp. 1, 10. 4. Lobbying initiatives for Greek interests with the new administration are of course nascent. Lt. General Michael Flynn, who is a top national security advisor to President-elect Donald J. Trump, was rebutted by the American Hellenic Institute’s (AHI) for declaring Turkey a U.S. ally in need of support. See, Larigakis, Nick. “Setting the Record Straight on Turkey,” The Hill, 12 November 2016. Online, http://thehill.com/blogs/pundits-blog/international-affairs/305667-setting-the-record-straight-on-turkey. Accessed 14 November 2016. 5. “Reince Priebus Prestige.” The National Herald Vol. 20 (997), 19–25 November, 2016 (online edition) http://www.thenationalherald.com/wp-content/uploads/2016/11/997.pdf [available by subscription only]. P. 10. 8. Moskos, Peter C., and Charles C. Moskos. Greek Americans: Struggle and Success. With an Introduction by Michael Dukakis. Third Edition. New Brunswick: Transaction Publishers, 2014. 9. See, Anagnostou, Yiorgos. “Re/collecting Greek America: Reflections on Ethnic Struggle, Success and Survival.” Journal of Modern Hellenism, Vol. 31 (Fall 2015): 148-175. [available online, http://journals.sfu.ca/jmh/index.php/jmh/article/view/26]. And Anagnostou, Yiorgos. “Norms, Vulnerabilities, Paradoxes: Greeks and MTV.” Journal of Modern Greek Studies. Forthcoming Spring 2017. 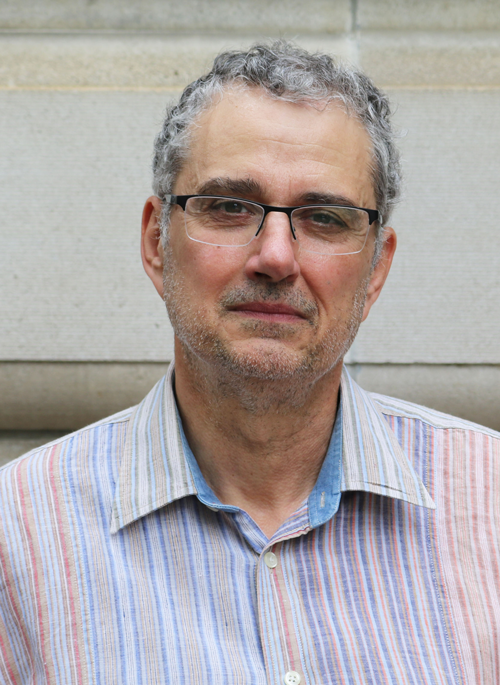 Yiorgos Anagnostou is Professor of transnational and diaspora modern Greek studies at The Ohio State University. His work is interdisciplinary and has been published in a wide range of scholarly journals (for a selective bibliography see, http://www.mgsa.org/faculty/anagnost.html). He is the author of Contours of White Ethnicity: Popular Ethnography and the Making of Usable Pasts in Greek America (Ohio University Press, 2009), now under translation into Greek (εκδόσεις Νήσος, 2017). He has also published two poetry collections, «Διασπορικές Διαδρομές» (Απόπειρα 2012, http://apopeirates.blogspot.com/2012/04/blog-post_20.html), and «Γλώσσες Χ Επαφής, Επιστολές εξ Αμερικής» (Ενδυμίων 2016, http://endymionpublic.blogspot.com/). He is the co-editor of the upcoming online Ergon: Greek/American Transnational Arts and Letters (Autumn 2017). He writes for Greek and Greek American media, and occasionally blogs on Greek America (http://immigrations-ethnicities-racial.blogspot.com/), and diaspora poetry (http://diasporic-skopia.blogspot.com/). The newspaper’s post-election astounding reversal illuminates the ways in which a Greek American media negotiates a new configuration of power. And its answer is shocking. Instead of confronting the power it previously categorically denounced, it wholeheartedly embraces it. The post-election editorial does not even temper its acceptance—an acceptance in the name of realpolitik for negotiating with the powers in Washington—with serious caveats warranted by the very toxicity of the reigning political climate. It opts instead for its unconditional consent, making a spectacular show of a law-abiding ethnic media. Its political calculation wholly aligns with power. When Archibishop Iakovos marched along Dr. Martin Luther King, Jr., in support of the Civil Rights movement in Selma, Alabama, in 1965—an example of courageous civic leadership in which Greek America often takes pride—his public statement was “far more progressive than the majority of his flock.” Clergy and staff advised the archbishop against marching, fearing that it would compromise “the quest of marginalized Greeks for full acceptance as American”. Were the archbishop’s actions an anomaly? With Greek America deeply ingrained in the American fabric, where does it stand on civil rights now? One cannot lay claim to a Christian Greek Orthodox identity—an identity based on the ethic of universal empathy and love—and at the same time support, directly or indirectly, policies and narratives that harm non-Christian people. A new Greek/American narrative is necessary to place Greek Americans and the diaspora in solidarity with demographics that most imminently face the dangers lurking in the new political order. The immediate task is an activism that safeguards basic human rights and promotes an ethos of civic inclusivity. Given the relatively narrow range of media outlets in Greek America, it’s essential that Greek/American writers, poets, scholars, intellectuals, and journalists who advocate civil rights, inclusivity, gender equality, and a better distribution of wealth join forces to produce reflective, critical discourse, and multifaceted identity narratives outside “Greek America” proper.